I left Larn and his many black cases of camera equipment on the lip of a Shell gas station off interstate 10 in Phoenix. Nadine was coming to pick him up only hours into our planned week long road trip. We couldnt get along. I kept driving towards Flagstaff to meet Sherri Stein as planned at the Goulding Trading Post tomorrow. 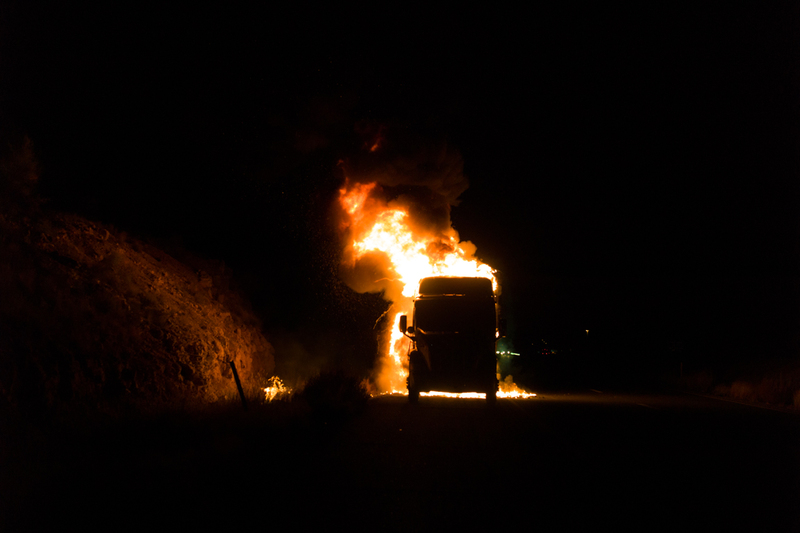 Just short of the exit to Sedona I came upon a truck in flames. I pulled past it and parked. The driver asked me to call the police and they already knew. I asked him what was in his burning truck and he said "potatoes". But I knew it was the film the three of us hoped to make.